We recently held our first CIO Advisory Forum, where we gathered a handful of CIOs – many customers of Appcelerator – to discuss the challenges they were facing when it comes to enterprise mobility and how they are addressing them. Companies like ACE, Comerica, Safeguard and Sprint were represented, to name a few. The big takeaway? 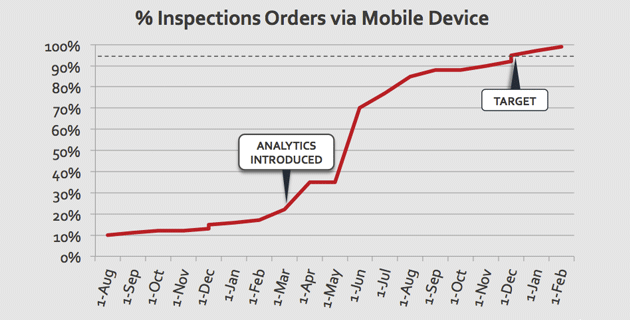 Mobility isn’t just a bunch of flashy new apps. It’s about migrating decades of business-critical applications from the client-server world into the mobile-first world. And in many cases, it’s requiring CIOs to rethink everything from hiring to budget allocation to business models. These CIO attendees are realizing that mobile is not simply an extension of the web; it’s a totally new way of conducting business, and it requires enterprises to reshape their entire development process. Specifically, developing for mobile requires a new architecture tiering for mobile-optimized data, breakneck development cycles and the ability to measure and analyze usage in a real-time, ongoing basis. It can seem daunting, but implementing a mobile-first strategy can be achieved if you take the time to break the big picture down into manageable chunks. 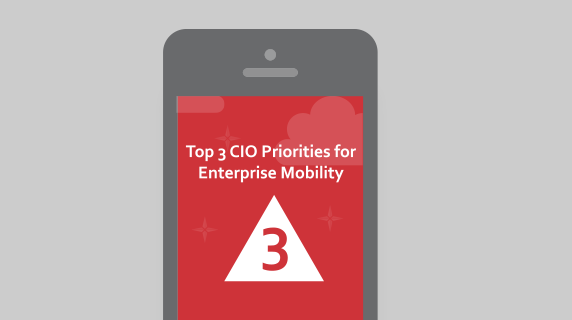 Our customers and the other CIOs in attendance made their 2014 priorities for enterprise mobility clear: Mobilized Data, Time-to-Market and Measuring Usage. It takes a forward-thinking C-suite to recognize that legacy corporate systems can be reinvented through APIs for today’s mobile world. On top of that, there are other services that are publicly available through APIs, like location, social and push notifications, which can enhance apps further. APIs are the glue that help bring these multiple data sources together elegantly, to create a personalized, contextualized experience for users. The attendee was talking about how mobile has changed the possibilities of Agile Development. Although Agile has been around for more than a decade, IT hasn’t been able to fully deliver on its promise until recently. Monolithic legacy systems caused IT to struggle in delivering working software frequently. They weren’t able to produce new capabilities quickly, update based on real-time analytics, or iterate continually to build a better experience for their users. Today, there’s no excuse not to go Agile. The bite-size nature of mobile apps means they are much easier to incrementally improve, test and release compared to beastly applications of the past. Plus, user expectations around the frequency of app updates have skyrocketed accordingly, and today’s IT departments need to be able to deliver quality apps at a rapid cadence. So, if a VP of sales, for example asks for a new app so salespeople can work on presentations remotely, IT can and should have the platform in place to deliver it in a timely fashion, as well as to refine and update it continually. Otherwise that VP can easily go elsewhere to find what they need, which includes outside of the organization. Proactive CIOs who implement the systems needed to upgrade the development cycle will deliver far more value to departments and their business as a whole. This has the potential to make CIOs and IT teams more relevant, responsive, strategic and valuable within their organizations. Remember that Agile process we talked about? Delivering fast is great, but only if you are basing improvements on hard data. Without analytics, knowing what to deliver is a guessing game. That’s why it’s near impossible to perfect a user interface in a vacuum. Analytics provide the feedback to help you understand how your users are interacting with your app, so you can understand what they really need. Again, building for mobile is an entirely different beast than building for the web and that includes measuring how users are interacting with apps. Beyond the obvious increased focus on user experience, enterprises building for mobile need a new framework that takes into account a number of differences ranging from deployment timelines, multiple device types, data capture and much more. This is unfamiliar territory for many and requires enterprises to take into account a number of new metrics. If techniques like Agile and Lean are the keys to delivering new versions of apps faster, analytics are the key to making sure those versions are substantively better. Understanding adoption, retention and other usage patterns is vital to making smart decisions that maximize your mobility investments. It’s a turbulent time for CIOs right now, as enterprise mobility changes the way internal processes and external deliverables are built, tested and deployed. But ultimately each of the areas above represents an opportunity for enterprises to delight stakeholders inside and outside the organization. Learning first-hand from some of the top thinkers in enterprise IT helps us understand the real challenges in the enterprise and help others craft a mobility strategy that works now and in the future.